Erin Stagg is best known for her diverse range of colourful acrylic and oil paintings. Her style ranges from thoughtful, such as her Flora and Fauna collection to light-hearted and comical, like her Yoga animal collection. Erin's art is found in private collections internationally. She is constantly testing boundaries and playing with new approaches and subject. "After following the prescribed career path for me, I found myself living in gray scale without any zest for life. Now, it's my mission to bring colour in and to celebrate those little everyday moments that are full of vibrant life." 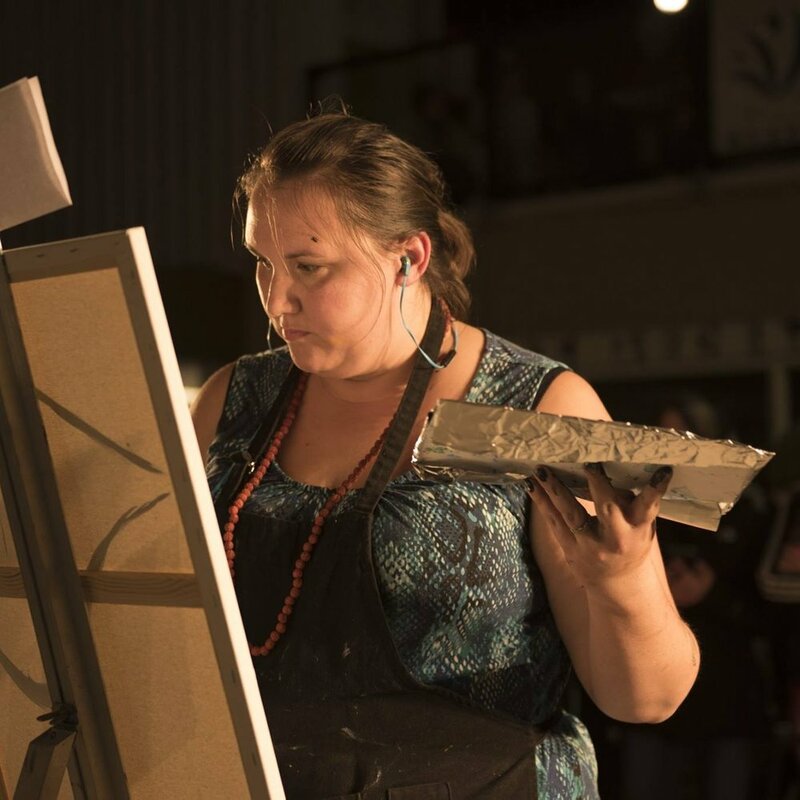 Her art is inspired by artists like Frida Kahlo and Ashley Longshore, Rod Major and local artist Lesley White. Erin is a Métis Aboriginal Artist from Prince George, BC. Supporting other small businesses in Northern BC is always important to Erin. Her prints are produced by the well-respected studio, WD West Studios in downtown Prince George.